September 14th, 2016 | Categories: Home Staging Success Stories and Home Staging Tips. Tags: donald trump, hillary clinton, home staging, professional home staging, and real estate. The race for the Presidency is in full gear. 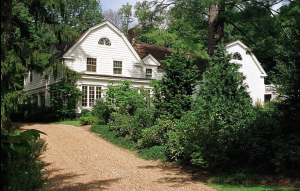 That means that in just a few months, either Hillary Clinton or Donald Trump will be moving into the White House and out of their usual residence. With that in mind, I wondered just how I might use home staging to prep the candidates’ current residences – you know, if they needed to sell their homes in anticipation of the big move. 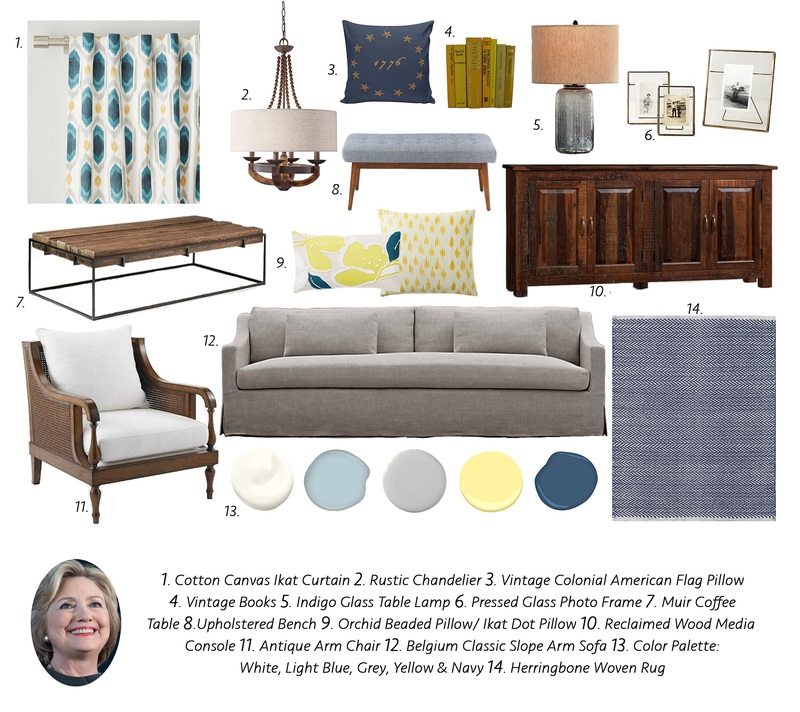 So through an analysis of each home and some spectacular moodboards, this week, I’ll show you how I would professionally stage Hillary Clinton’s home for sale. Stay tuned for next week’s blog when I tackle Donald Trump’s Manhattan penthouse! A neutral palette. Utilize the home’s Colonial style as inspiration — but with a modern twist. Almost a modern farmhouse feel. I like the idea of using blue hues along with tans and browns. These colors are calming and can give the home that rustic feel of the Colonial era. A beautiful and broadly-appealing home that feels modern, while retaining its homey, lived-in vibe. That’s just the balance to strike with a home staging program in order to attract buyers. 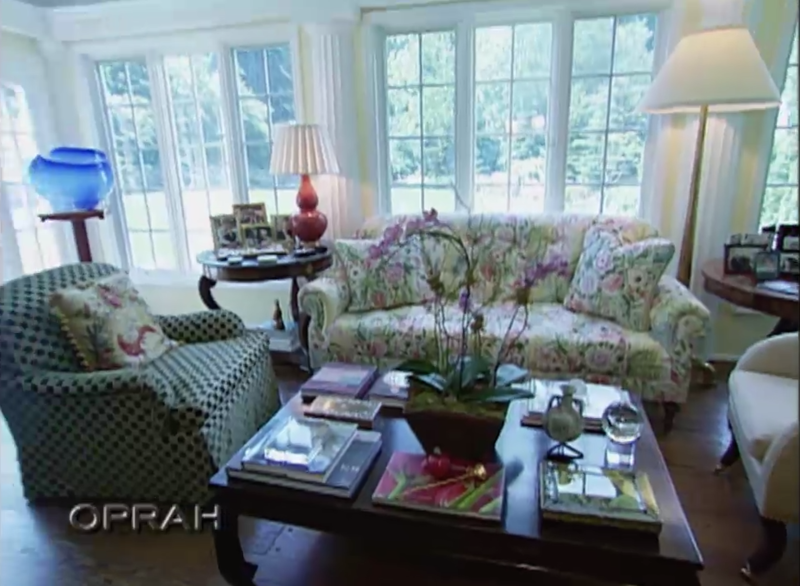 I especially love the arm chairs because they bring in a lot of character. Adding character is also the reason I chose a lot of different patterns – they help bring more interest to the textures throughout the home. 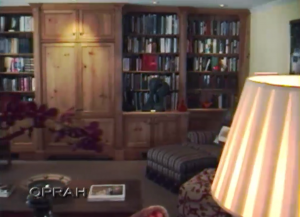 Love how we staged Hillary Clinton’s home? See how we used home staging to make Donald Trump’s Manhattan penthouse great again!